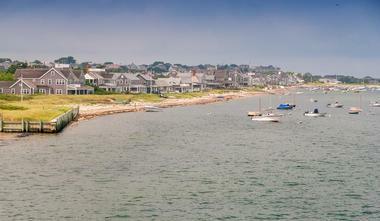 Nantucket is a popular holiday destination during the summer months. This is the time of the year when the weather is perfect for biking, boating and laying out in the summer. But it is very crowded, there is congested traffic, and room rates are at their highest. Winter time is quite cold, but room rates are at their lowest and there are several pleasant holiday festivals. However most establishments close during January and February. The best times to visit Nantucket are during the spring months of March and April, and during the fall months of September and October. The crowds and traffic are gone; temperatures are cooler, and prices for many things are reasonable. January is the coldest month of the year in Nantucket with an average low temperature of 25°F (-4°C). The average high temperatures are a teeth chattering 39°F (4°C). In addition to being the coldest month, January also has the year’s highest precipitation rates with an average rainfall of 4 inches (105 mm). In February, the average high temperature stays the same while the average low temperature rises by a single degree. Nantucket Weather in March: Average temperatures rise in March as winter ends and spring arrives. The average high temperature increases to 44°F (7°C) while the average low temperature is a bone chilling 31°F (-1°C). April in Nantucket sees a relatively large amount of rainfall with an average precipitation rate of 4 inches (105 mm). The average high and average low temperatures range between 51°F (11°C) and 38°F (3°C). In May, temperatures continue to increase with the average high temperature peaking at 60°F (16°C). Despite the general rise in temperatures, the average low temperature in Nantucket is still a chilly 46°F (8°C). Nantucket Weather in June: The average temperatures for June remain quite cool in Nantucket even with the arrival of summer. High temperatures make a bit of a jump to 69°F (21°C) while the low temperatures average at 55°F (13°C). July receives the least amount of rainfall annually with an average precipitation rate of 2 inches (52 mm). The average high temperatures peak at 75°F (24°C) while the average low temperature climbs to 62°F (17°C). August is the warmest month in Nantucket. Regardless of this distinction, the average high temperature is an enjoyable 76°F (24°C). Low temperatures average at 63°F (17°C). In September, fall officially arrives and brings with it average high and average low temperatures at 70°F (21°C) and 56°F (13°C) respectively. Nantucket Weather in October: Nantucket gets abundant rainfall in October with an average precipitation rate of 3 inches (76 mm). The climate continues to get colder as the average high temperature decreases to 61°F (16°C) and the average low temperature goes down to 47°F (8°C). In November, the average high temperature decreases further to 53°F (12°C). Meanwhile, the average low temperature goes down to 39°F (4°C). December is the third coldest month in the year with an average low temperature of 30°F (-1°C). The average high temperature also lowers significantly to 44°F (7°C). If you’re eager to explore the popular tourist destinations of Massachusetts by foot, the mild fall weather from September through October is a fantastic time to visit. For baseball fanatics ready to soak up the electric atmosphere of Red Sox games, summer is the ultimate time to swing by as long as you’re able to brave the hot weather and soaring hotel rates. If you’re coming to Massachusetts to enjoy winter sports, make sure to come in January when the snowfall is at its best. Those who are eager to see how tree spa is transformed into maple syrup should come to the New England area early in the spring. One of several ways to get to Nantucket is by airplane. Several airlines serve the Nantucket Memorial Airport from cities such as Boston, New York City, Washington, Newark, and other smaller cities along the East Coast. There are several car rental agencies located in the airport. Other ways to get from the airport include a bus that takes passengers to the Town Center; taxis; and, since biking is a favorite past time on the island, you can get from the airport into town by bike. Most people arrive by boat from a variety of cities on the East Coast. There are traditional ferries as well as high-speed ferries. 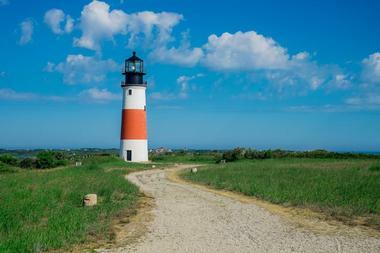 Many visitors choose to explore Nantucket on foot or by bike or moped. Other options include shuttle bus and taxi. Some people prefer to get around the island by car; you can bring your own car on one of the ferries or you can rent one on the island. To explore the sandy areas of the island, you can rent a jeep or other four-wheel drive vehicle. The only downside of using a car on Nantucket is the traffic congestion and lack of parking during peak season. Getting around by bicycle is popular because the island is mostly flat and there are many paved bike paths. There are places to eat on Nantucket that will please all visitors. There are fine dining restaurants on every street in the town, some of which are world-famous. Some restaurants sit on the beach and diners applaud when the sun sets. 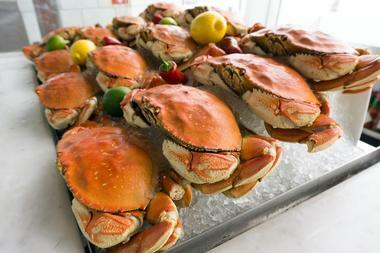 Other restaurants are more casual: this is where visitors can find affordable meals and mingle with some of the locals: some of these include Island Coffee, Stubby’s, and Walter’s Deli. Some of these restaurants offer take out so you can hop on your bike or moped and eat at your favorite outdoor spot. There are bakeries, confectioneries, and specialty markets where visitors can pick up gourmet products. When you are finished exploring the beauty that Nantucket offers, it’s time to check out the shopping scene. Nantucket does not have mega shopping malls, but it does have a wide range of shops that offer items that visitors will not be able to find anywhere else. Many of the shops are locally owned. There are antique shops such as Rafael Osona Auctions, the number one antique dealer on the island; other antique shops include Nantucket Country and the Antiques Depot. The jewelry stores focus on pieces that often incorporate shells and other nautical items. 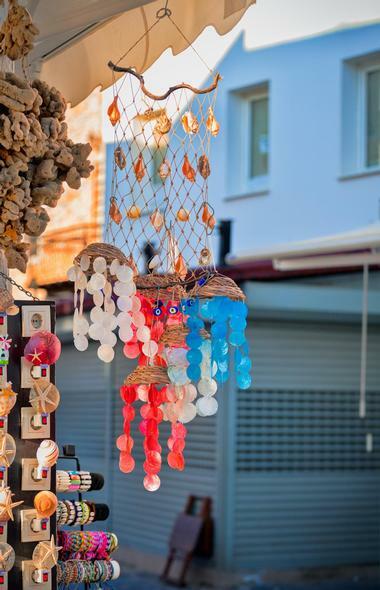 Other things to shop for on the island include baskets, books, clothing, gourmet products, and, of course, souvenirs. It’s surprising how many neighborhoods make up Nantucket. The historic town area is full of art galleries, specialty shops, and the streets are cobblestoned. The wharf is another part of this neighborhood. Madaket is on the far west end of the island: here there are cottages, a small harbor, and unforgettable sunsets. The Tom Nevers neighborhood affords views of the moors and there are many hidden beaches nearby. Dionis lies on the north shore: here the water is calm and is great for children to swim. There are large oceanfront homes here with views of the ferries. Quidnet is on the east side of the island and overlooks Sesachacha Pond. 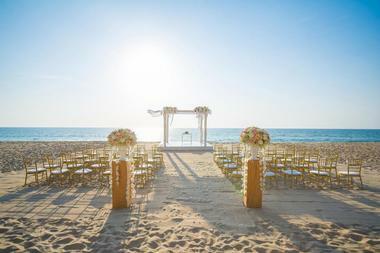 Because of its special unique charm, Nantucket Island is a very popular place for weddings. A marriage license can be obtained at the Office of the Town Clerk of Nantucket. There is a wide variety of venues on Nantucket Island. Some of the more elegant venues include Franklin Country Club, Hampshire House, the Lord Thompson Manor, the Tirell Room, and more. Visitors can rent the entire Wauwinet, the island’s best waterfront destinations, with the inn, cottages, and grounds. 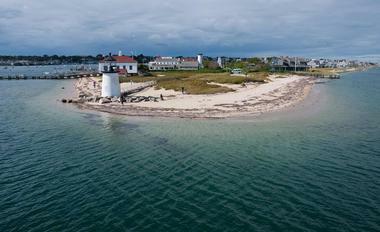 The Lighthouse Inn is a charming oceanfront inn with cottages. If you are interested in a church wedding, you can try the Unitarian Universalist Church. 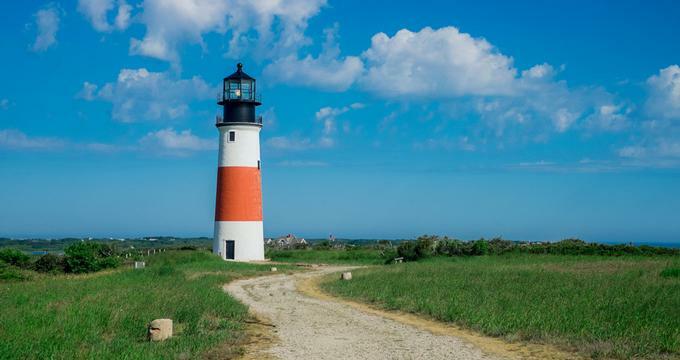 Nantucket Island is a popular place to visit, especially during the summer months, and there are many different kinds of accommodations to suit every visitor’s needs. Luxury properties include the White Elephant, the Wauwinet, the Cottages and Lofts at the Boat Basin, and the Jared Coffin House. The island is also known for its inns and bed and breakfasts. Some are restored whaling-era mansions while others are new buildings. Renting a cottage is popular for couples and for families. Some cottages are conveniently located near beaches where children can swim in the calm waters. Peace and Plenty is a classic Nantucket house with its own private beach.